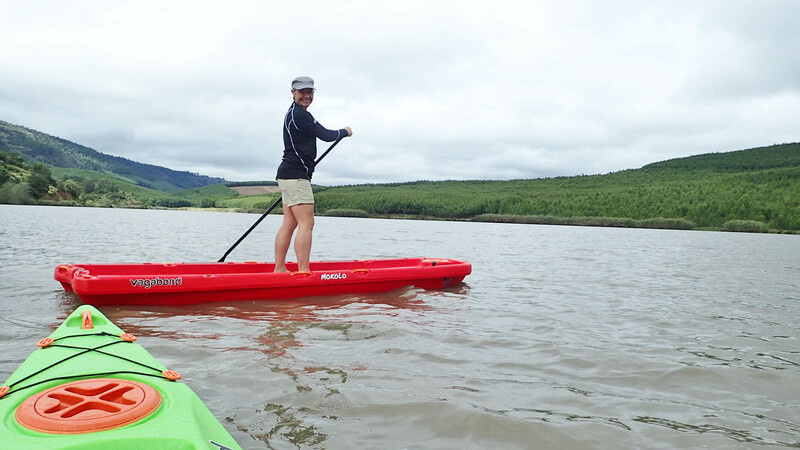 The Mokolo is something so different that people love to give it a try. These three teens were used as test subjects for a school event concept. 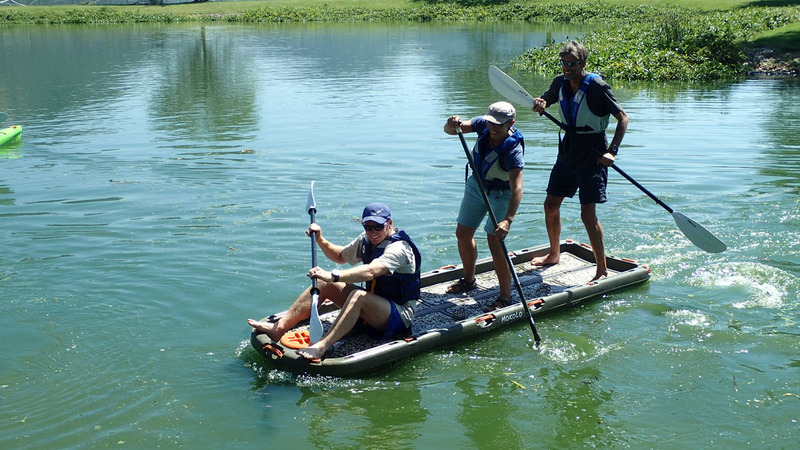 Three adults testing paddling configurations on the Mokolo. 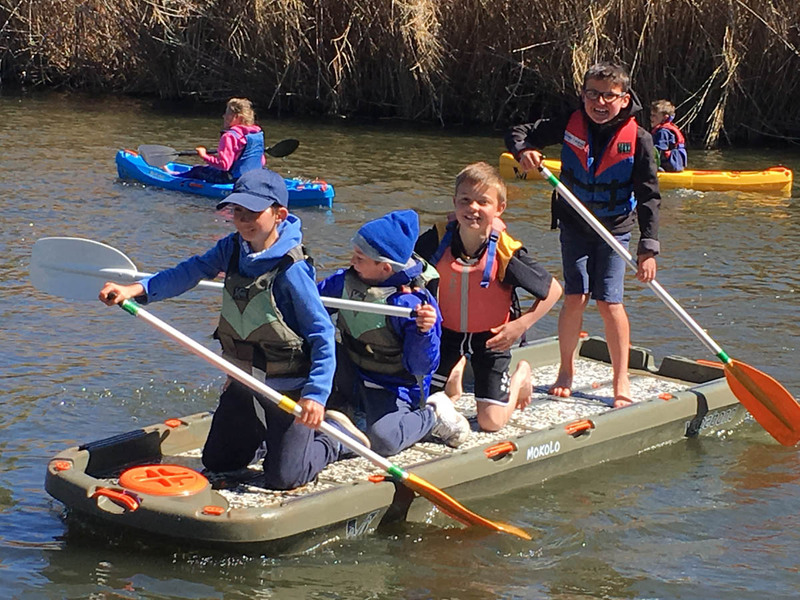 Paddling is more fun with friends. Overnight camping. Freeding-cold morning. 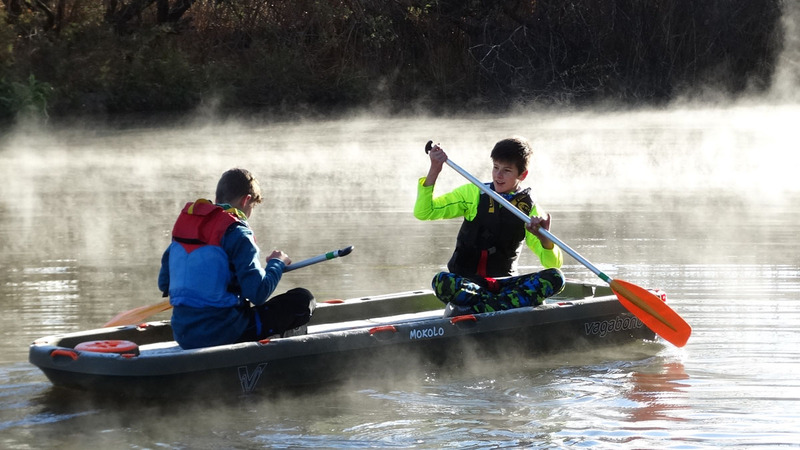 The boys wake up early to get out on the water. 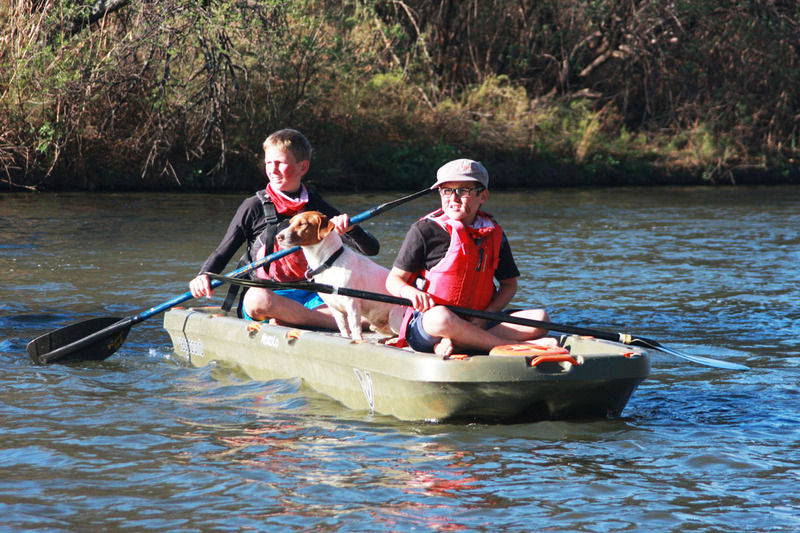 Two boys and a dog on the Mokolo. 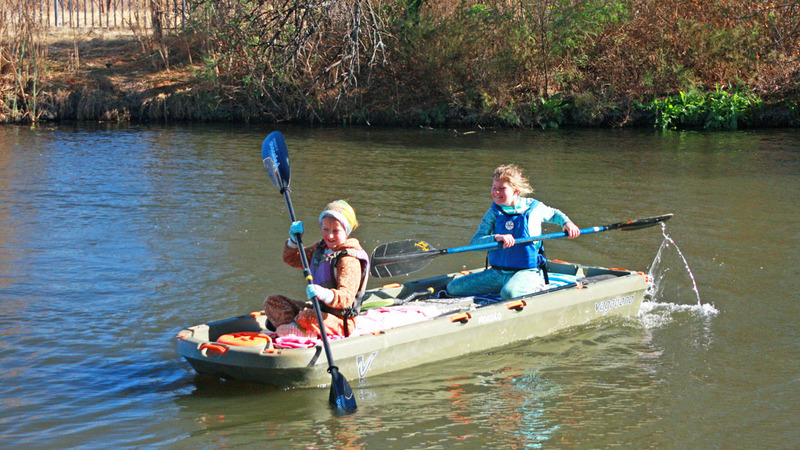 When it is cold but you really, really want to be on the water, just take your blankets with you. 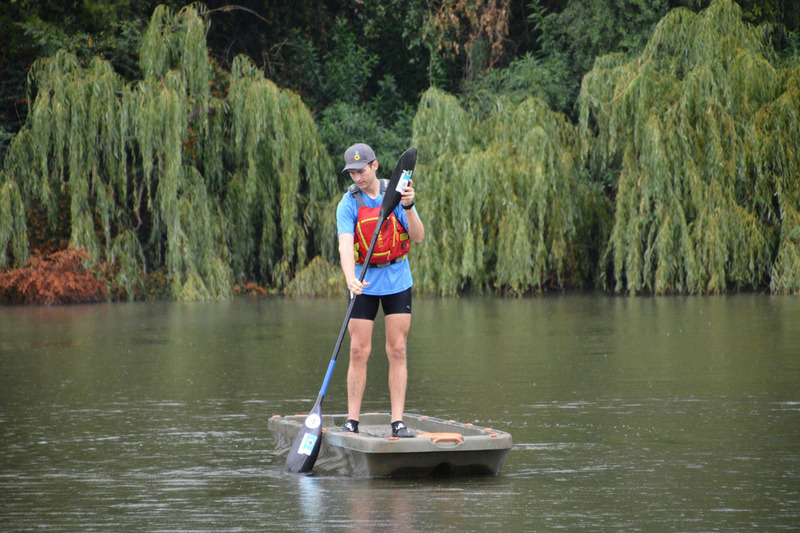 The Mokolo can be paddled from a standing or a seated position. 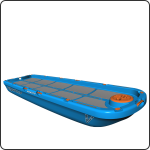 This is a very stable boat and the whole deck can be used and loaded with gear, friends, children or dogs. 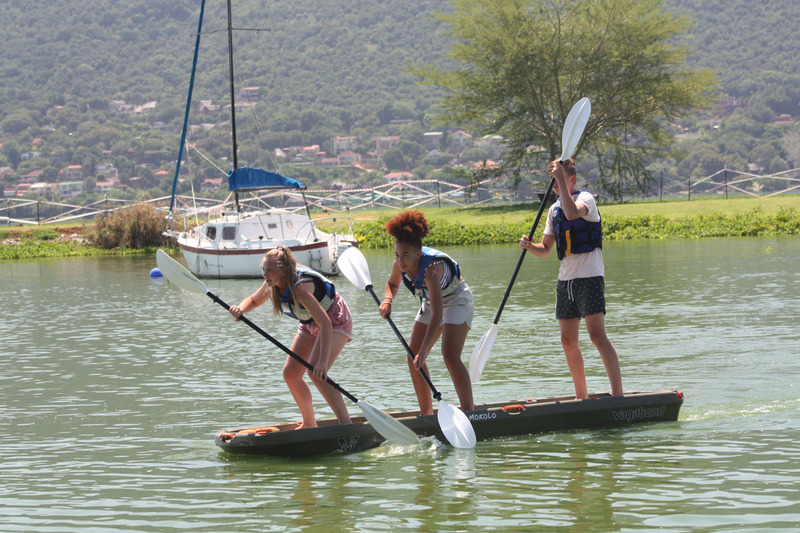 More stable than a yoga SUP, your imagination is the only limit to how you use and customise the Mokolo. View of the bow of the Mokolo. 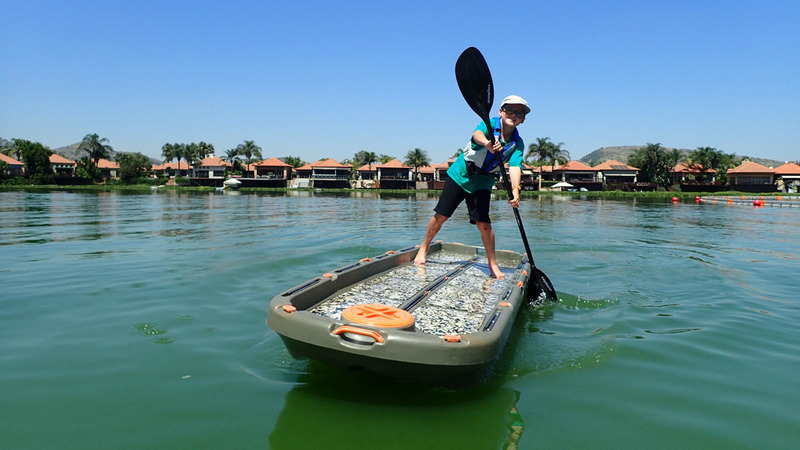 The Mokolo is super stable and its deck can carry a huge load. 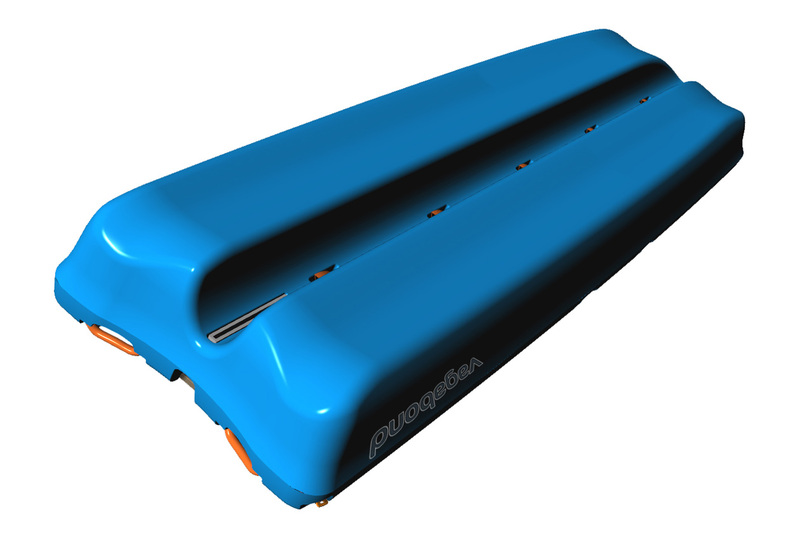 The broad hulls give the Mokolo minimal draft. 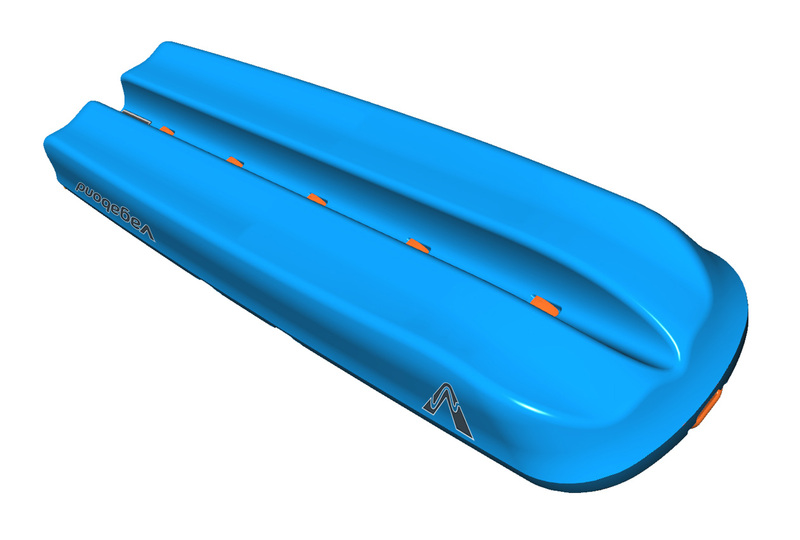 It can be used in shallow waters that most other craft simply cannot get to. 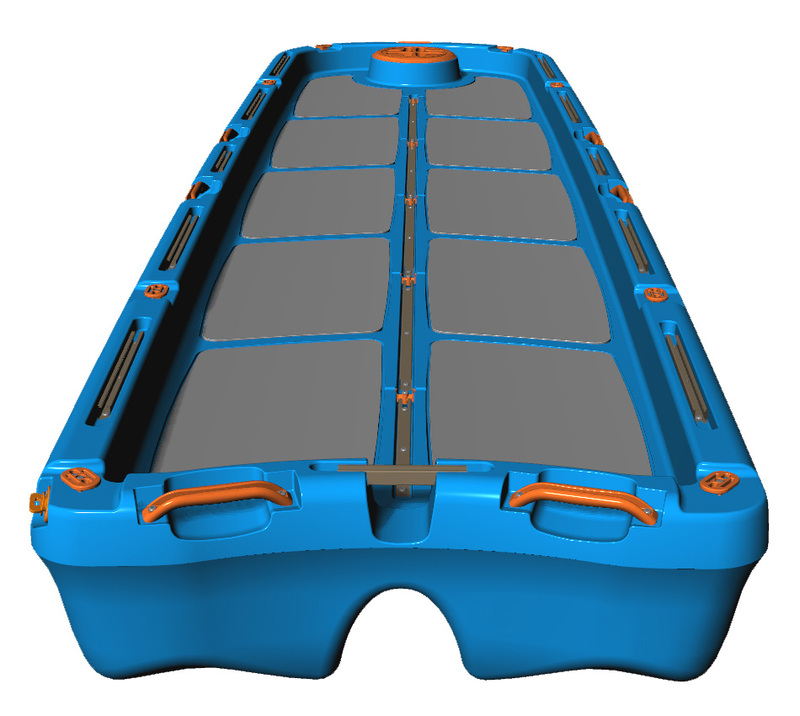 Foam pads on the deck of the Mokolo give underfoot comfort and prevent you from slipping. 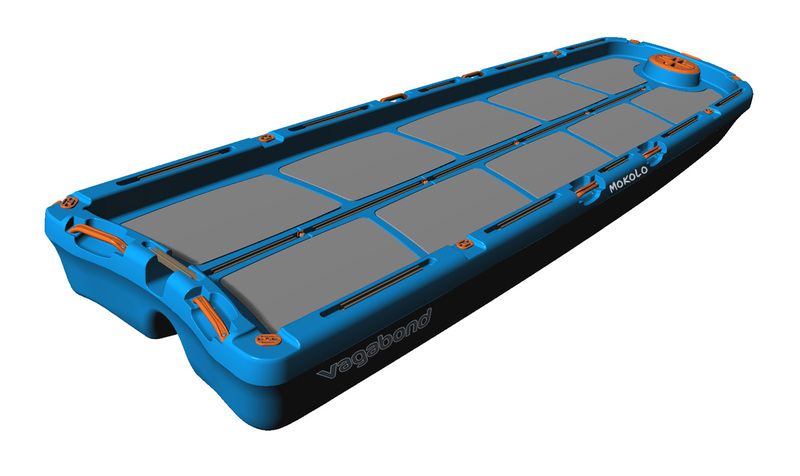 Use the deck rails to customise the deck by attaching your fittings and accessories. 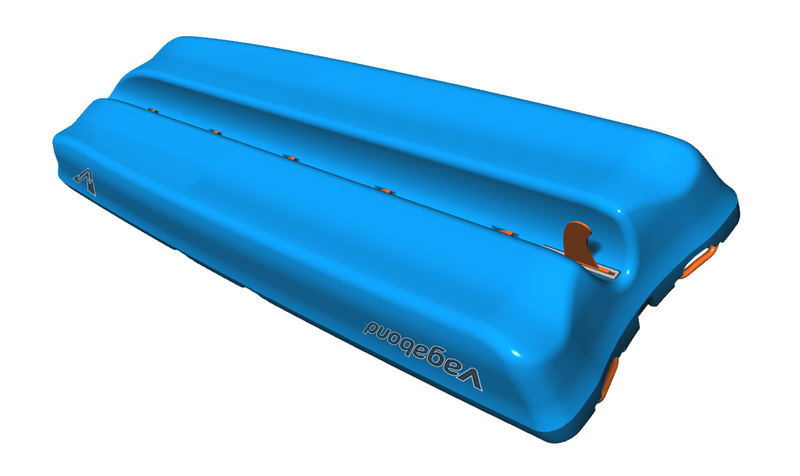 A fin box allows for a skeg to be added. 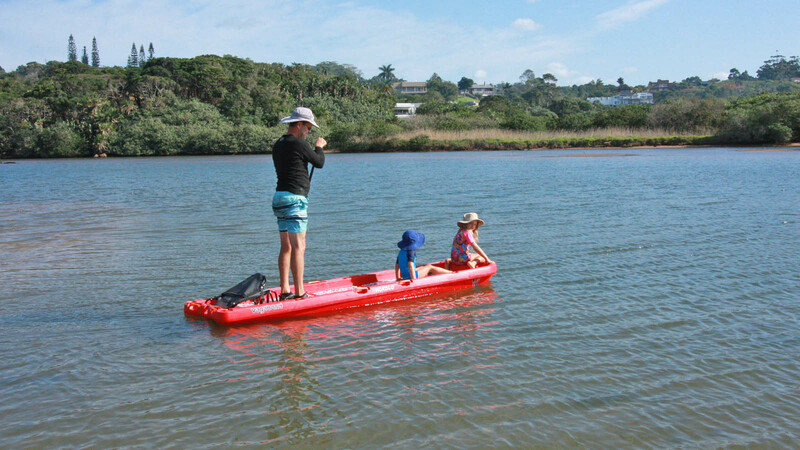 The Mokolo can be used in its simplest form as a floating platform that can be paddled from standing or on which to relax with friends, children and dogs. 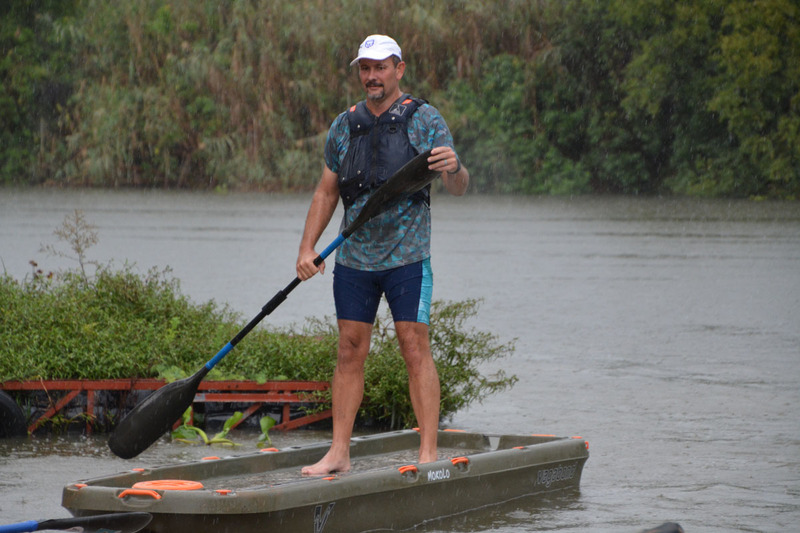 The broad hulls make the Mokolo super stable. 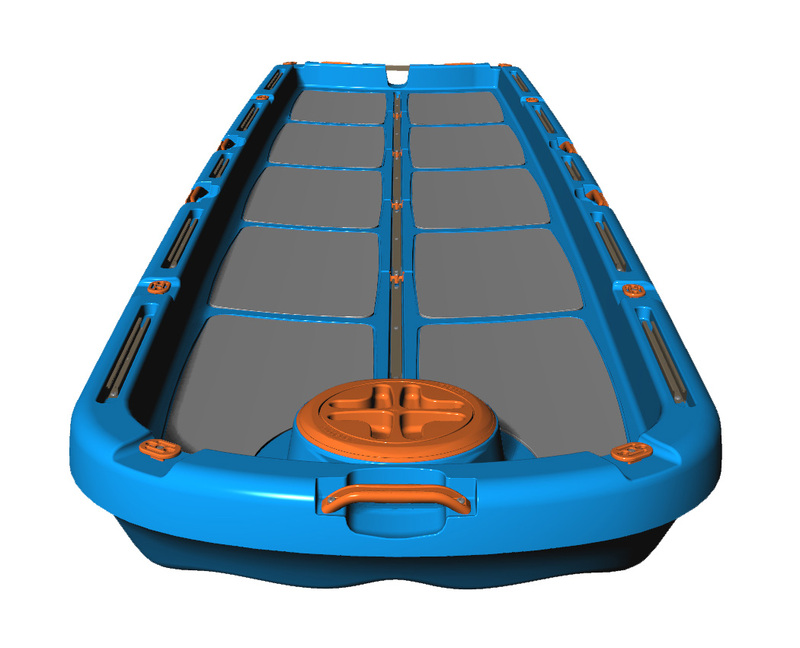 Handles and our Multifit fittings are distributed around the deck. 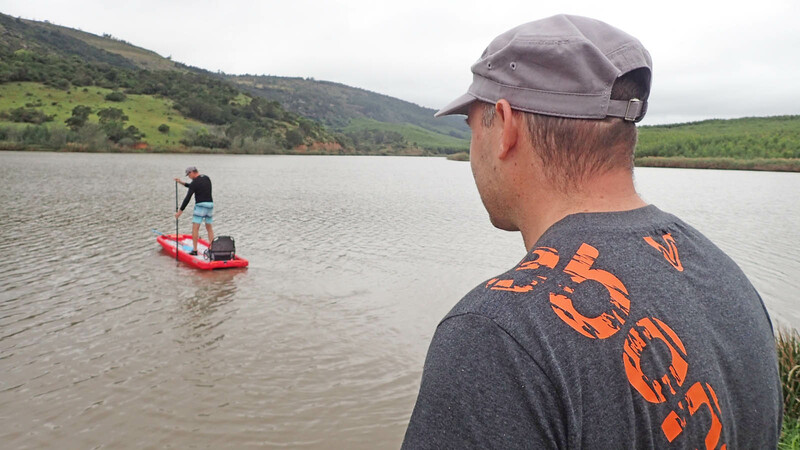 The Mokolo turns this boy into a modern-day Huck Finn.